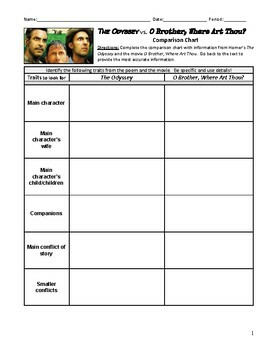 Use this worksheet to help guide students through comparing their reading of Homer's 'The Odyssey' to the Coen film 'O' Brother Where Art Thou.' 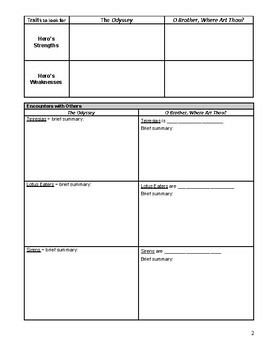 This worksheet is comprised of four sections with side-by-side comparisons which help students deepen their understanding of the epic poem, it's composition, character's and their traits. 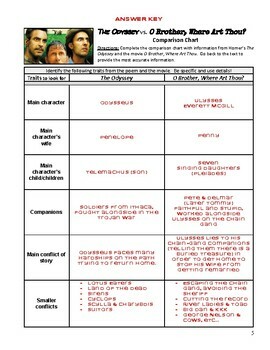 Use the left-hand column as a review tool, after reading The Odyssey and before watching the film. 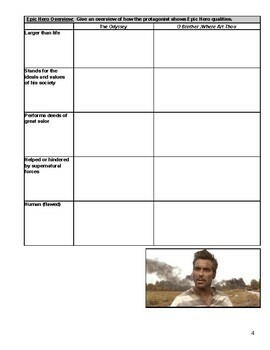 Let students complete the right-hand column while watching the film or between viewing segments (recommended). Student worksheet is 4 pages. Teacher answer guide included.